I remember when Apple first began using the new USB cable that it calls Lightning. 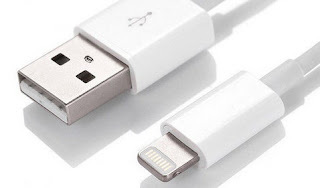 After years of fiddling with the klutzy 30-pin connector that came with iPhones, iPads and iPods, I was delighted to start using a plug that had no up or down position. But when I went to buy a couple of extra cables, I discovered that Apple wanted $20 or more. Of course some third-party vendors eventually appeared offering cables at lower prices, but the newer versions of Apple’s iOS operating system didn’t like them. Now I’ve discovered Tiktoktikk, a source that sells Lightning cables for $1.99, a price even the most destitute Apple user can afford. The three-foot-long white cables look just like the ones that come with my new Apple devices. I immediately ordered three of them for a total cost of about $12, which included shipping to my home in the Midwest. They haven’t yet arrived, so I haven’t been able to test them. But Australian blogger Adam Striven wrote at iPadWiki that the cables worked flawlessly with his iPhone 5 and 6 and with his iPad 4 and Pro models. And that was good enough for me.